Will Anglin is a 27 year-old climber and head climbing trainer at Earth Treks in Golden, CO. 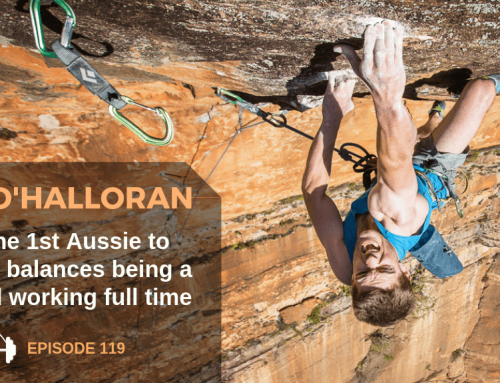 He minored in Exercise Physiology in college, he’s a certified personal trainer, and he’s studied climbing training quite a bit. 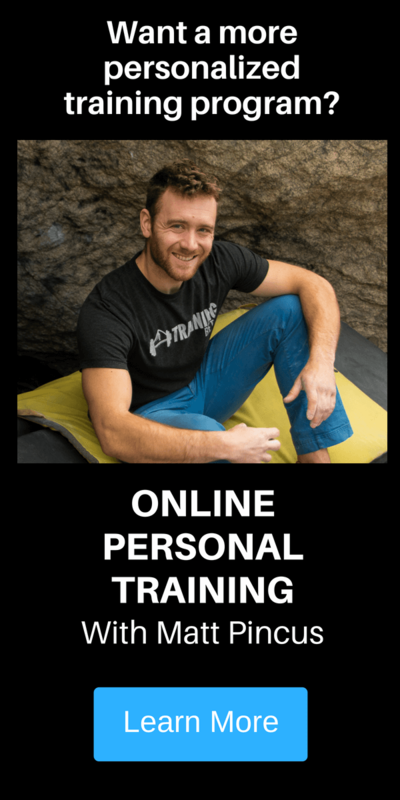 He trains people in person and online, and he writes about training on his blog. 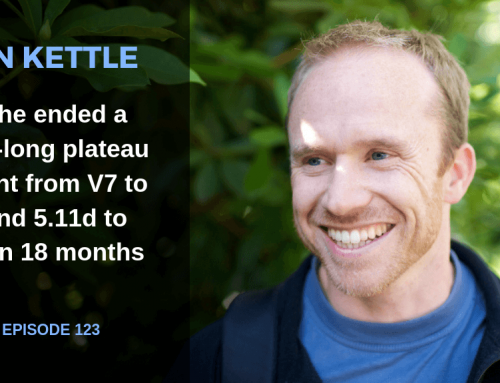 One of the reasons I wanted to interview him is that he’s not only a well-respected trainer, but also a prolific climber himself, having sent V13 and 5.14. 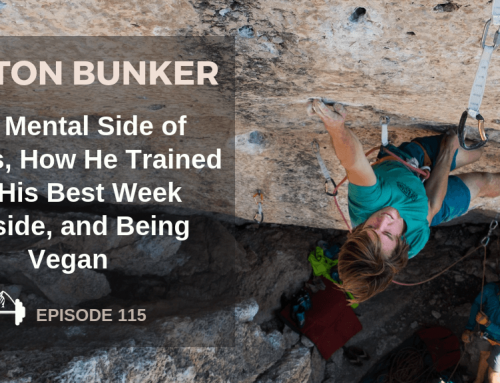 He has a lot to say about training, and this was a dense conversation (in the best way possible). If you haven’t heard of the ArmAid yet, definitely give it a look-see. It’s a nutcracker-type self-massage tool for your poor, overused arms, and it actually works. We wrote a glowing review about it here. 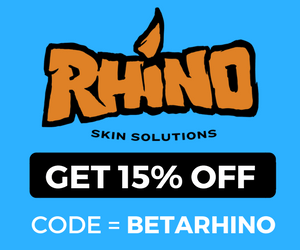 Use the code “climb” at checkout for a 10% discount! Check out the Route Climbing Training Program for route climbers of all abilities. 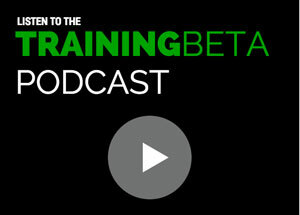 If you’d like to place an ad on the podcast, just email us at info@trainingbeta.com. 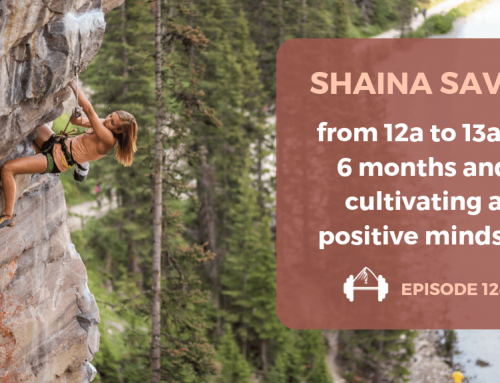 Neely Quinn: Welcome to the TrainingBeta podcast, where I talk to climbers and trainers about how we can get a little better at our favorite sport. I’m your host, Neely Quinn, and today I’m on episode 33 with Will Anglin. 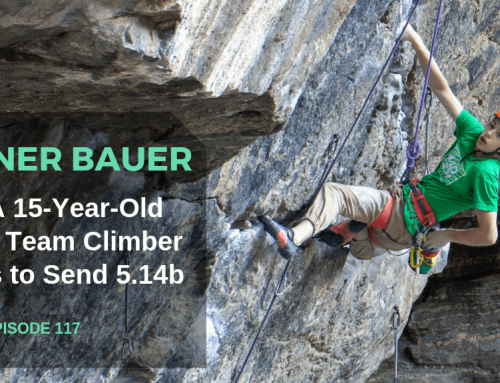 Will is the head trainer at Earth Treks in Golden, Colorado and he’s also a super strong climber, having climbed V13 and 5.14. He has a lot of really intelligent things to say about training. He’s a certified personal trainer but he also minored in exercise physiology in college and he’s been climbing for almost 15 years. Hopefully you’ll enjoy this interview. I found him to be extremely knowledgable. I’m really sorry that it’s been so long since I had regular podcast episodes come out. We were in Florida for about six weeks and I was struggling a bit with life. I had to take a little breather from everything and being in Florida with my mom and my aunts and being in the warmth and just kind of chilling out for a while was just what I needed. Now we’re back in Boulder. We’ve decided to sort of settle down for a while and not go on the road, and Seth might get a job and, yeah – so we’re just kind of excited to be stable and in one place and have a nice home for once in a long time. Hopefully I’ll have episodes coming out every week, hopefully. That’s my plan. But anyway, before I get to the interview I need to let you know that Armaid is giving you guys a discount. Armaid is – I don’t know if you’ve seen it. It’s a contraption sort of like a lever-arm type thing that allows you to squeeze the crap out of your forearms, basically. After a long, hard workout it’s really nice to be able to just massage yourself and this is the thing that allows you to do it. A lot of climbers swear by it. If you go to www.armaid.com you’ll get a 10% discount if you use the term ‘climb’ at checkout so there you go. Alright, so here is Will Anglin. Enjoy the interview. Neely Quinn: Alright, welcome to the show, Will. Thanks for being with me today. Neely Quinn: Tell us a little bit about yourself for anybody who doesn’t know who Will Anglin is. Will Anglin: I’m Will Anglin. [laughs] I started climbing when I was 13, back in Maryland, at the Columbia Earth Treks. Let’s see – I was on the youth competitive team from kind of day one and competed until I was probably 16 and then got really burned out on it. I quit climbing, actually, for 3-6 months and just thought I didn’t want to do it anymore but then we – my family – went on a vacation to Summersville Lake in West Virginia. If you’ve ever been there you know it’s this huge lake and there’s cliffs that just line the whole thing. I had happened to bring my climbing shoes and just started deep water soloing out there again and realized what it was that I really enjoyed about rock climbing and got back into it pretty seriously, kind of immediately, at that point and have been going ever since. I’m 26 now and here living in Golden. Neely Quinn: Alright. I was going to ask you that. I didn’t know if you were in Boulder or in Golden or where. So then you want to continue the story about what you went to school for and where you are now? Will Anglin: Yeah. So after I had kind of quit climbing then got back into it, it was about a year to two years into that I tore my labrum in my left shoulder doing a really big gaston campus move. I was too tired to be doing it but I was with a bunch of friends in the gym and they were still going and I wanted to keep going and so my shoulder dislocated and it all/everything in there tore. I ended up having to have pretty serious shoulder surgery when I was 17. That got me really interested in climbing injuries and physiology and all that stuff. From then on out I really focused on learning as much as I could about that. I read text books for fun – I like doing that – and then when I went to college at Western State in Gunnison, I actually tore that same shoulder again doing a really deep lock-off move. I tore the labrum, rotator cuff, chipped a little bit of bone off the head of my humerus as well when the shoulder kind of went back in, and that one was particularly bad. If I just relaxed my shoulder and bounced it up and down it would just fall out of the socket so that sucked. Then, I had the surgery again but I had the surgery in Gunnison at Alpine Orthopedics and Rhett Griggs did the surgery. He’s kind of just a badass surgeon and was a competitive cyclist, so I had an elite athlete as a surgeon and I had athletes who were doing my recovery and PT afterwards and I just ended up with a much better result with that surgery. I have been, or at least my shoulder has been, healthy ever since. I’ve ruptured some pulleys and all that other jazz. I spent most of college – I actually majored in outdoor education which, going back, I wish I had majored in sports physiology but I just minored in that. I was actually only one class away from majoring in it but I, at that point, had been in school for four and a half years and the idea of graduating was more attractive than going to school for one more semester so I just left. Then, I got my CPT last year through NASM. I wanted to have that certification. It just brings a little more clout when you’re training people for them to know that you are legitimately a personal trainer, like, you know what you’re doing so that’s been great. Now I am the head coach of the youth team at Earth Treks in Golden. I also do personal training with clients there and have recently started Tension Climbing, a business with Ben Spannuth and our friend Gabe Adams. Neely Quinn: Do you want to explain what that is? Will Anglin: Yeah, so Tension is something that Ben and I had just been kind of tossing around for years now. We actually met in Gunnison, trying to climb this route that I bolted that ended up being Cobra Strike. There’s a cool video of him climbing that, getting the first ascent. There’s actually a really long story behind that but we’ll skip it for now. Tension is, basically, we’re making wooden climbing holds, campus rungs, we’ve got a couple different finger boards coming down the line as well, and also we’re really trying to focus on kind of an education component, so trying to keep a lot of really good content on the site that people can reference. If they end up getting injured, trying to figure out which doctor to go to and if they’re training, trying to go in on the back end and look at all the scientific literature that we have so far which, for climbing, isn’t a whole lot but there is a good amount out there. Kind of digesting it and putting it back out there in a way that climbers are easily going to be able to understand and apply it to whatever it is they’re training for or doing. Neely Quinn: Cool. That’s good. That’s great. We need all the help we can get with training. So, I want to talk more about that but one of the things I think is cool about you as a trainer is you’re also a really strong climber. I know it’s hard for people to brag about themselves but do you want to tell us some of the highlights of your climbing career so far? Will Anglin: Um, sure. I’ve been bouldering mostly since I moved to Colorado. There’s just so much good bouldering to do so I’ve done a number of V13s or 8B or whatever. Most recently, though, I’m really excited about this boulder that I sent outside of Gunnison, or just outside of Crested Butte, at the Skyline bouldering area that I called Shihari. That was a project that I’ve actually been trying since I was about 18, freshman year, first week of school. I went up there to go climbing and saw that overhang and people had done the first five moves of it but then the holds kind of disappear, and for years I could never really even see where you’d even go. It had to go because it was such a striking face, it was such a cool line, and so a couple times a year I’d go up there and try it. I’d brush up some holds and see if I could figure it out and I never could. Neely Quinn: That showcases your evolution as a climber. It’s pretty awesome. Will Anglin: Yeah, it was really cool. That’s probably one of the more significant climbs I think I’ve ever done, just for me, personally. It’s not that hard, it’s definitely not a world class difficulty anymore, but it was really cool for me to do. Neely Quinn: And you’re not only a boulderer. You’ve done routes. You’ve climbed 5.14 and you’ve done scary trad routes, right? Will Anglin: Yeah, when I first went to school in Gunnison I pretty much exclusively climbed trad routes. I hardly bouldered at all until I’d almost graduated so I climbed a lot in the Black Canyon, which is just some of the best rock climbing I think I’ve ever done. If you’re talking straight really cool moves, really cool holds, amazing rock quality – everyone says that the Black has really bad rock but I mean, sure, the bad rock is bad but the good rock is some of the best rock I’ve ever climbed on. It’s ridiculous. It’s very cool. Neely Quinn: Okay. So let’s go back to college. You studied physiology, or sports physiology? Is that what you called it? That’s what the minor was? Neely Quinn: Okay, and then since then, quite a few years after you graduated you got your CPT – your certified personal trainer – right? In between there, I think this is a common problem for people, like, not knowing where to get good information on training for climbing specifically. How did you teach yourself and learn how to train yourself in those years? I also want to know how you learning in college about sports physiology helped you in this arena. Will Anglin: I guess I’ll start with that. Well, we’ll go back further. I’ve always been into the sciences. My grandmother was the head of the biology department at the University of Tampa so I would spend summers as a lower middle schooler with her at college and she’d be teaching summer courses and doing everything so I’d get to sit in on those and do sweet dissections and stuff. When she was grading papers I would just sit in the corner and read medical journals about – so, I’ve been pretty fluent. Neely Quinn: You’ve been in it for a while. Will Anglin: Yeah. That kind of vocabulary and learning how to pick apart those articles for usable information is just something that I’ve kind of always done, so after school I kept reading. I’ve got a file on my computer that’s just stuffed full of all sorts of, like, anything I can get for free online because I can’t log in under my student name anymore to gain access to a lot of the journals but there’s a lot of good free stuff out there. It can definitely be – it’s not easy to get through. You definitely have to enjoy it, which is hard to do, in order to pick through some of that stuff and there really isn’t a whole lot of research done specifically on climbing. I mean, there’s a good bit but compare that to something like running. I mean, people have been running for decades and decades, like there’s no shortage to the amount of studies done on running and foot mechanics and knees and all that stuff. With climbing, there’s maybe like a hundred articles out there or something like that, that are really good and compare that to the thousands that you have for other sports and activities. Relatively, it’s not that much but if you know what you’re looking for you can go into those papers and studies about other sports and learn things about how tendons react and how muscles react and just something as simple as what hypertrophy means and how you can make a muscle bigger. You can take all that and, with the right knowledge, bring it back into climbing and learn how to apply it. Neely Quinn: Yeah. So you – did you do that while you were in college, too? Will Anglin: Yeah, definitely. I definitely figured out a way to skew every assignment I ever did in college towards rock climbing. Will Anglin: Yep. Definitely climbing again. Neely Quinn: Okay, so now you’re the head coach at Earth Treks in Golden. You work with kids, you work with adults, you work with yourself. I’m assuming you are your biggest guinea pig. Will Anglin: Oh yeah, definitely. Neely Quinn: Okay, so take us through your evolution as a climber, like, compared to when you were training when you were 14. How do you train now? Will Anglin: It’s really interesting because climbing has grown a lot, especially when you look at how we’re training kids from when I was an adolescent going through that training compared to what it is now. I had great coaches. They were awesome dudes and I still keep in contact with them but no one really knew how to train kids properly back then so a lot of, like, my shoulder injury actually probably started when I was 14 and started climbing because I was really, really skinny. I could not, like – I was a super late bloomer. I don’t think I hit puberty until I was 18 or 19 [laughs] and now I have this sweet beard so it’s great. I had really strong fingers. The second day in the gym I could climb 5.12 but I couldn’t pull at all, like I had no real control over my shoulders and my body. I could hold onto bad holds and keep going but I would sag into my shoulders a lot and move improperly and get tired, past the point where I should have stopped. I would keep climbing with poor technique and eventually my shoulders got really loose and I carried that into my later teenage years. When I got stronger and could do these things I had all these bad habits from when I was younger and it took a lot of practice to change how I climbed in order to keep myself from continuing to get injured. I did a lot of things that I would never do again, training-wise. Neely Quinn: Mostly in the name of overtraining? Just doing too much? Neely Quinn: Alright, sorry for the interruption here but speaking of overtraining and not knowing your limits and doing too much, a lot of times we come home from the gym or an outdoor session really sore. That’s why I’ve partnered with Armaid, to give you guys a discount on their product because it’s one of the only things that you can do – the Armaid and maybe a lacrosse ball or foam roller, but Armaid is definitely one of these tools that helps you massage yourself. It’s a lever-arm contraption. 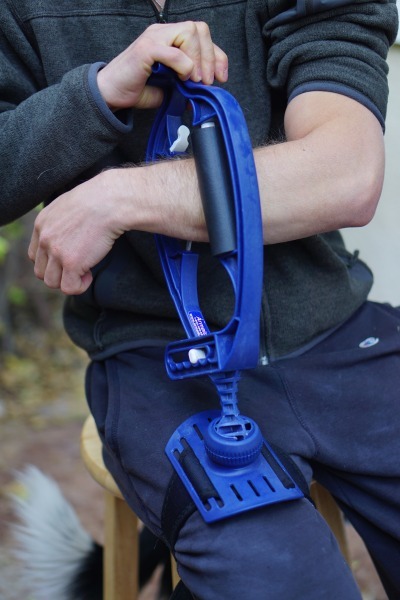 It hooks onto your leg so that you can put some really good force on your forearms and your biceps, if you want to, and massage yourself and massage the soreness away. If you go to www.armaid.com they’ll give you a 10% discount if you use the word ‘climb’ at checkout. Now we’ll go back to the interview. Will Anglin: Yeah, doing – it’s so easy to do too much in climbing because it’s so damn fun. You’re always like, ‘Gah, I know I should leave but one more try, one more try,’ and then that’s when you get hurt. I’ve definitely grown up a lot with that type of self control but also just knowing what my body can handle and how it responds to certain types of training. I think that’s been the biggest growth point in my personal training, is becoming really aware of how much is too much for me and what I need to do to accomplish a certain goal. That’s been really helpful when it comes to efficiency of training. I can do less and get more out of it rather than doing a ton and really only some of that is helping me and the rest is just making me tired, making it harder to get recovered, and getting me hurt. Neely Quinn: Unfortunately it’s hard to learn what your body is capable of without doing it the hard way. Will Anglin: You get hurt and then you’re like, ‘Oh, well that was the line.’ A lot of people don’t bounce back from injury very well. It’s really hard to. Each of my shoulder surgeries – the first time I did it I was climbing V10 and then I hurt my shoulder and then I couldn’t climb V3 when I started climbing again. Then I progressed from V3 all the way to V12 and tore my shoulder again and couldn’t climb V4 again when I started climbing and had to work all the way back through it. I’ve started from point zero a number of times. Then I hurt a pulley really bad and had to start all over again. Each time I’ve done that I’ve got more and more efficient at progressing so as bad as it was to get hurt, it’s actually been a really cool learning experience to get to a certain level then get fat and weak again and have to go back. I’ve really gotten the opportunity to test a lot of things that most people would not want to test on themselves. Neely Quinn: Yeah, which is cool because then you can impart that to your clients and your kids. How do you know – because they don’t know – I mean, kids don’t normally know what their limits are and a lot of beginners don’t know. How do you know for them? What are the signs that you get from them? Will Anglin: Well, I mean everyone needs to work on climbing movement, first and foremost. So many people get too far into their climbing career without having really stopped and thought about how and why they’re doing certain things a certain way. I think that’s what leads to a lot of injuries in beginner and intermediate climbers because they never learn the proper applications of certain techniques so when they’re doing these boulder problems, they’re actually putting more load on their fingers than someone who really knows what they’re doing. That extra load over time ends up pushing people into all these different overuse injuries and they get hurt. They’re like, ‘Oh, I got hurt because of this or that,’ but really it wasn’t any of those reasons. It was just because when they first started, they never really took the time to really hammer in those fundamentals and really focus on movement, foot placement, how to get your hips where they need to be, all that stuff so they end up developing these bad habits and doing the wrong thing for so long that, in the end, it ends up hurting them. Neely Quinn: So you’re saying they’re overtaxing their fingers and shoulders, for instance, when they could just be keeping their body closer to the wall and being smoother. Will Anglin: Totally. So, yeah – the amount of damage they are doing to their body in a two-hour climbing session is way more than someone who’s moving properly in a two-hour climbing session. All of that, built up over time, that’s just going to wreck you. Neely Quinn: I think this conversation is heading in the direction of efficiency, which is what we were talking about before the interview started. Neely Quinn: I think a lot of people are like you. You said that you were working 50 or 70 hours a week or something right now? Will Anglin: Somewhere between 50 and 60. For the past month it’s been stressful [laughs] and before that I was really only working 35-40 and I felt then that I was working a lot and didn’t have a lot of time to train. Now I’m like, ‘Man. I really wish I had that time again,’ so I’ve had to condense my training into much shorter sessions and sometimes two really short sessions in a day, because those are the only places I can fit in 30 minutes here and an hour there. It’s really forcing me to decide. I have 30 minutes and how can I get the most out of this 30 minutes? Whether it’s fun or not, what can I do because I have all this stuff I want to climb and I can’t just not train. Neely Quinn: I think that a lot of people can relate with you. A lot of people have jobs, they are in school, they have jobs and school, they have kids, so can you go through a typical week for you? Neely Quinn: And this is for training for bouldering. Sorry to interrupt you. This is you training for hard boulders. Will Anglin: Yeah, definitely bouldering focused. Because I have limited amounts of time, there’s – I can’t necessarily focus on a lot of different facets of my climbing. Even that has to be more focused so I’m pretty much either training strength or power and those are the only two things I pretty much ever train. The reason for that is strength is always, like if you can only train one thing, you should train strength. I don’t know – that’s the end of it. Strength will help your endurance, strength will help your power, strength will help your strength endurance. Increases in strength help everything. If you increase your endurance you’re going to get better at endurance but you’re going to be lowering your strength, like that’s just going to happen, and if you train your power you’re going to get more powerful which, to some people you might think, ‘Oh, I’m getting stronger because I can do this move,’ but the reason you’re doing that move is because you’re doing it more powerfully and you’re not doing that move because you had an increase in strength. You’re doing it because you had an increase in power. The difference between strength and power, I think, is misunderstood as well but training strength is always kind of the first thing that I go to with myself and with people who are on similarly limited schedules. Neely Quinn: People don’t know what that means. Will Anglin: That’s a pet peeve of mine. Neely Quinn: What is the difference? In your words. Will Anglin: Strength is just the ability of a muscle to do work. Time is not factored into that where power is a function of the work done and the time in which it happens, and distance is a part of that as well. When we’re talking power we’re really talking speed more than anything else, so powerful movements – and really, nearly every climbing move should have an element of power to it, like even those static movements. If you add just a little bit of dead point into that, you’re going to increase the efficiency of that move. Strength is really like when you pull into that lock-off and you hold it and you reach to the next hold and you’re able to fiddle with it and really dig into it and then do the next move. You don’t always get the opportunity to do that. A lot of the times you don’t. A lot of times the power is more important. You’re moving to a hold and you’re going dynamically. There’s only a set amount of time that you have between making contact with the hold and slipping off it to where your body needs to apply the maximum force that it can in order to hold you on that hold. A test that I’ll do with people is I’ll have them try a move and they’ll hit the hold and fall off. I’ll be like, ‘Well, can you grab those two holds and pull onto the wall?’ Then they can. ‘Well alright, you’re strong enough to do that move but you’re not powerful enough to do that move. We need to train your hand to close faster and we need the muscles in your hand to contract faster so that you can apply the necessary amount of force in the short period of time that you have.’ Does that make sense? Neely Quinn: Yeah, that makes sense. [laughs] So back to your weekly schedule. Will Anglin: Yes. I probably, right now I’m only training in the gym probably three days a week because the weather has been nice. I try and get outside one day a week if I can. 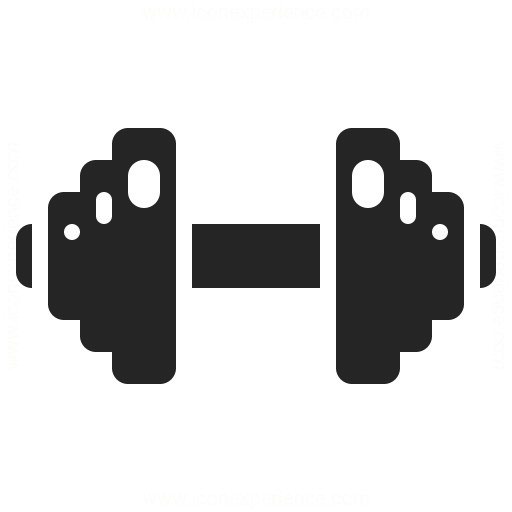 Right now I’m kind of in a transition between doing just pure finger strength and just body strength and moving more into power, but I’m doing both at the same time, not on the same day, though. Today I’m going to go into the gym and hangboard and then climb on – we call it the Blackboard. It’s a black system board but it’s just littered in holds and really tiny foot holds and we make up ridiculously hard problems. I’ll hangboard and do some really hard limit bouldering and then maybe, with whatever time is left, hit the actual fitness gym and probably do weighted pull-ups or something like that and then my time will be up. Neely Quinn: How long will that take? Will Anglin: 45 minutes to an hour. Neely Quinn: Okay, so you’ll do the system board, or limit bouldering, after hangboarding? Will Anglin: Yep, because I warm-up and, depending on the day, it really only takes me 10-20 minutes to get pretty darn warmed-up and then my hangboarding only lasts about 20-30 minutes. It’s really pretty quick. They’re really heavy, heavy hangs and I’m only hanging for – I think I’m doing four second on, 12 second off, five times, and then a three minute rest in between sets and I’m only doing four sets. Neely Quinn: So that four seconds on, 12 seconds off sounds like a really – it’s heavy on the strength emphasis, right? Will Anglin: Yeah, pure strength. Neely Quinn: And can you explain that? Like, if you were to do five seconds on, five seconds off, what would you be training? Will Anglin: Cool. So, five seconds on, five seconds off is going to be more of a strength endurance kind of thing. The different intervals that I work with are typically 4-6 seconds on with 8-12 seconds off. That’s where I like to be in my strength zone, like just max strength, then in that power endurance – sorry, strength endurance. I almost did it to myself. In the strength endurance zone the hangs are still around that 5-6 second range but the rest time is either equal to the hang time or a little bit less. Neely Quinn: Why? Why is that? 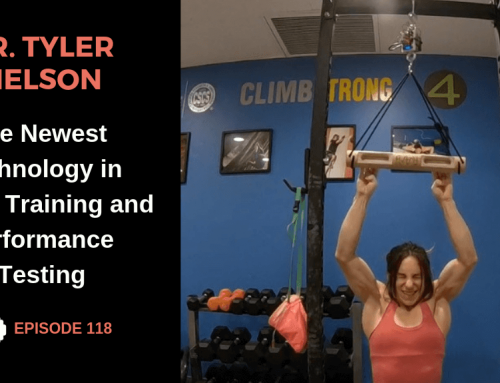 Will Anglin: Because you’re training your body to do a pretty maximal hang. You’re not hanging on for very long and then clear – like, you’re going to start getting pumped. Basically, you’re training your body to handle the acidic environment that starts to inhibit muscle contraction. You’re training it to stave that off for longer and when that starts to happen, to clear it more and more quickly. Neely Quinn: In what circumstances outside would you want that to happen? Will Anglin: Hard crux sequences in sport routes or longer boulder problems, where you have to do a series of, say, anywhere really of 5-10 or 15 moves depending on how quickly you’re moving without being able to stop and rest. Maybe you can shake your hand for a couple seconds but it’s definitely not a rest. You couldn’t hang there and switch hands back and forth for a minute, waiting for the pump to go away. The shake that you get is the time it takes for you to reach from one hold to the next and then you have to keep going. Neely Quinn: It seems like in that case you would want to be training or doing 12 seconds on and then whatever, maybe 12 seconds off or five seconds off or something. Will Anglin: You’re almost never, unless you’re in a rest position, hanging on to a hold for 12 seconds. Even if you’re clipping, 12 seconds is a really long time. The only time I have people hang for 10 or more seconds with a real short rest interval is if we’re doing pure endurance work and for most people, you have to take weight off of them in order for them to do enough repetitions of that. A lot of times training on the wall, like training on easy boulders or easy routes, is a better way to train that endurance. If you don’t have access to that you can certainly do it on a hangboard. Neely Quinn: So with the four seconds on, 12 seconds off-ish you’re adding a lot of weight to your belt. Will Anglin: Yes. A lot of weight. Neely Quinn: So that makes it so you have strength to spare, basically, on boulders. Will Anglin: Totally. As your maximum strength goes up, everything under that will become lower and lower percentage of your max which is why a 5.12 climber is not going to get pumped on 5.9. Because it’s so far below their max it’s really easy for their metabolism to handle that because their muscle strength is so high, where a 5.9 climber gets pumped out of their mind on 5.9 because it’s so close to their maximum level that they just can’t handle it for a very long period of time. That’s why training strength will help increase your endurance to a point, for sure. Neely Quinn: Okay. Alright, so you’re doing your warm-up 10 or 20 minutes, hangboard for 20 minutes, you’re doing four seconds on, 12 seconds off, three minutes rest, four sets for strength and then you’re on the system board, the Blackboard, and you’re doing limit bouldering. How long does that last? Will Anglin: Depends on if I have a training partner. If it’s just me I can pretty much destroy myself in about 20-30 minutes but when I have someone climbing with me it takes about an hour. The key thing there is I’m not going to exhaustion. You almost never want to climb to exhaustion. 1) That’s where you get hurt and 2) you’re digging yourself into a really deep recovery hole that’s going to take you awhile to get out of. If you had just taken a little off the top, recovered in a day, then you can go back and train again, that’s way more effective. Neely Quinn: Okay, so we throw this term around a lot, I feel like: ‘training to exhaustion,’ or ‘working to exhaustion.’ What does that actually look like? That might be a stupid question. Will Anglin: No, it’s a really good question and it’s hard to conceptualize a lot of times but what I’ll do is, when I first go up to the Blackboard or if I’m bouldering in the main bouldering area I’ll pick a boulder problem or a move that I think represents about 80% of my maximum ability at that point. Then, I’ll go ahead and work on really limit boulders and any time I start to feel like I might not be able to do that 80% move or boulder problem again I’ll try and do it. If I can do it then I can keep training but the minute I can’t do that move or that boulder problem anymore, I stop. Neely Quinn: Okay, so you’ve got this, sort of, one problem that keeps you on point. Will Anglin: Yeah, definitely. You can get even more specific with it, like if I’m training crimps for a day I won’t pick a hard pinch move that represents 80% of my max. I’ll pick a crimp move that I think represents 80% and then I’ll train crimps. When I can’t do that anymore it’s like, ‘Okay, you should stop crimping [laughs] and either be done or now start working on pinches or something,’ because that’s going to put a lot less strain on your joints. There’s other aspects of your climbing you can work on after you’ve met that strength threshold. 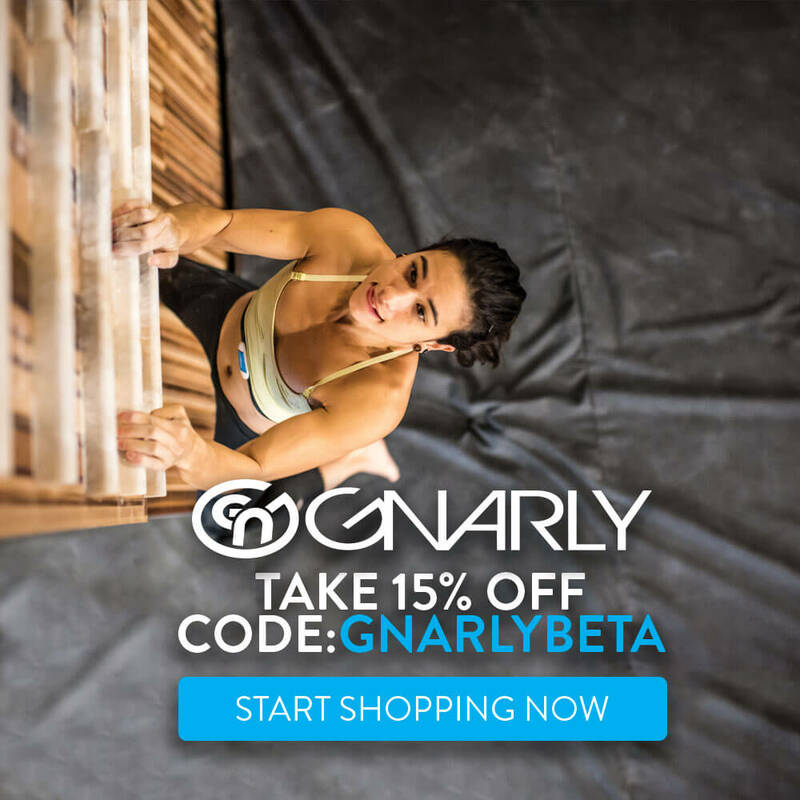 Neely Quinn: Would you do limit bouldering on crimps and on pinches in the same day? Neely Quinn: Is that what you’re saying? Neely Quinn: So you wouldn’t suggest that you only do one or the other on a specific day? Will Anglin: Depends on how much time you have. If you don’t have much time and the climb outside you’re trying to do then yeah, I would just work crimps in the little time that you have, but if you have more time your training can be a little bit more rounded. Neely Quinn: So when you’re doing those hard problems, how much time are you giving yourself in between attempts? Will Anglin: I probably only give myself a minute or two but that’s because the problems that I’m working on I can really, for the most part, only link about two moves together at a time so I’m barely on the wall. The ratio of my time off the wall to on the wall still matches up well. I give myself almost five times the amount of time that I was on the wall to rest before I do it again. Neely Quinn: So you’re saying ‘limit bouldering’ but it’s not actually your limit. You’re doing 80% of your limit. Will Anglin: This is interesting – so, effort level is super important, especially in climbing because we don’t really have a whole lot else to measure. You don’t just have a 30-pound dumbbell. You have a V3 but one V3 could be completely different from another V3 so it’s really hard to measure anything but your effort level so I’m always bouldering at the limit of my effort level. That’s what limit bouldering means. Whether I’m actually performing at 90-100% of my actual maximum ability – I don’t know. It’s hard to say whether that’s actually happening but I know I’m trying 90-100% of how hard I feel like I can try on that day. Then, once trying that hard diminishes my overall ability to about 80%, then that’s when you stop. Will Anglin: Oh yeah. I almost always kind of don’t send anything. Will Anglin: If I do then I’m like, ‘Oh, sweet, cool, that was too easy,’ and then I have to make up something harder. Neely Quinn: Okay, got it. Then when you can no longer do 80%, then you’re done. Neely Quinn: Okay, got it. Then, after that you’re doing weighted pull-ups or something like that. This seems like a lot to me. It seems like hangboarding and them limit bouldering and then weighted pull-ups – do you feel like this is maybe too much for, I don’t know, somebody who’s not climbing at your level? Will Anglin: If they were trying to hang with the amount of weight I’m hanging with and climb the limit boulders that I was climbing and then do pull-ups with the amount of weight, then absolutely you’d get hurt, immediately. [laughs] What’s kind of cool about all this is it’s scalable, especially when you start really focusing on effort level over, say, how much weight you’re actually hanging on yourself. Neely Quinn: Where’s that article? Will Anglin: It’s on my Squarespace site. I think it’s www.willanglin.squarespace.com (link no longer available) and I think y’all have reposted it a couple times as well so you can probably find it on TrainingBeta as well. Neely Quinn: Okay. That’s what I thought. 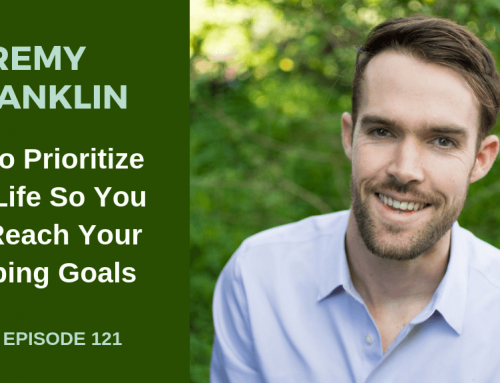 Will Anglin: But if you look at effort level, it’s a really easy way to scale things across the board and across all ability levels because as long as you’re trying in the right effort percentage, then you’re doing the right amount of work for your level. Will Anglin: Does that make sense? It’s easier to talk about that in a general sense than, ‘You should do 30 pounds,’ or, ‘You should do 35 pounds,’ because that’s going to feel different to different people. If they are more in tune with their effort level then they are going to be able to assess what weight they need and they are going to know when to progress as well, so if a certain weight felt like 80-90% last time you did a hangboard workout and now it feels 60, now you can go up five pounds. Will Anglin: When you think about it that way it’s much easier to scale your hangboarding to someone else’s or know when your training needs to increase in intensity. Someone else could totally hangboard and then climb limit boulders and then do pull-ups. Are their pull-ups going to be weighted? Probably not. Are they going to be hanging with a ton of weight on the hangboard? Probably not. Are they even going to be doing that strength protocol on the hangboard? If you haven’t done a lot of hangboarding I wouldn’t recommend doing the max strength hangboard protocol because it puts so much strain on your fingers. 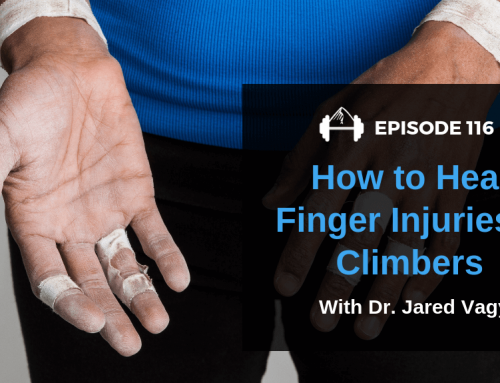 If you’re not ready for that yet you’re setting yourself up for injury so doing one of the strength endurance or endurance protocols is going to do a better job, if you’re a more beginner climber, at acclimating you to that kind of a load. 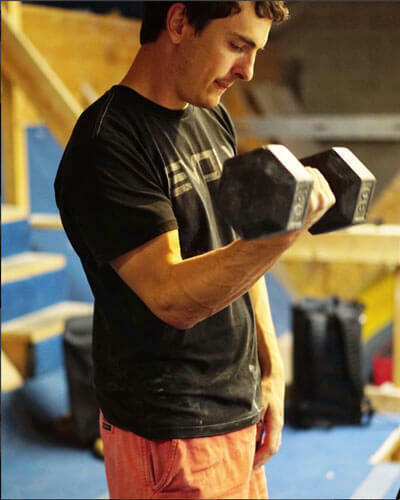 Then, bouldering for a little bit and once you’re done bouldering you can go – you still have energy to go move weights around if you’re trying to work on your general fitness as well. A good rule of thumb is to do your most coordinated and most risky exercises earlier in your training session and move to less coordinated and less risky exercises near the end of your session. Neely Quinn: Okay, that makes sense. Will Anglin: The hangboard is risky, especially if you’re using a lot of weight. You need to make sure you’re grabbing each grip correctly and really make sure you’re using an appropriate load. Limit bouldering takes way more coordination than doing a pull-up on a pull-up bar. You’ll find that, even after you’re tired from hangboarding and tired from limit bouldering, you can still do probably your same number of max pull-ups because so many other things are fatiguing and causing your performance to decline along the way. It’s not just that your lat and your bicep are tired. Your lat and your bicep can go, for most people, a lot longer than, say, some of the shoulder muscles. Especially with a lot of people, your rotator cuff will get really fatigued and you might still feel like you can keep climbing and pulling hard and stuff but your shoulder is much less stable at that point and you’re putting yourself at risk of injury. Neely Quinn: Okay, yeah – that totally makes sense. So with your weighted pull-ups, just to finish off this, I think this is the end of your session here, right? The weighted pull-ups? Will Anglin: Yeah, or core or whatever. Neely Quinn: How many/what would that look like? How many sets? What’s your weight look like? Will Anglin: Right now I’m doing three sets. Each set gets easier and I have a set amount of weight that I do for each set then I look at the reps that I do. My first set – I weigh, like 155 pounds, so my first set I add 110 then I’ll do as many pull-ups, as many good pull-ups, as I can. Only the good ones count. If you’re wiggling your way up and kicking your legs, that’s not a good pull-up. You should have stopped before you tried to do that one. I can do 4-5 of those so I’m shooting for 4-6 reps there. If I were to ever drop under four reps then I would lower the weight. If I would go over six reps then I would up the weight. Then, my second set I do 100. Pounds, not 100 pull-ups, [laughs] then I’ll try to max out there and I generally do 6-8 of those. Again, if I were above or below that rep range then I would adjust the weight for the next workout. Then I drop 10 more pounds and do 90 and then do as many as I can there. There I kind of shoot for 6-10. It depends on how much sleep I got the night before and a whole number of things. Then that’s it. I just did three sets and it’s actually not that many pull-ups but they’re really freakin’ hard pull-ups. I’m getting that high training stimulus but in a short period of time. Neely Quinn: Yeah, and I’ve heard some trainers say that pull-ups aren’t the greatest, I don’t know, that they’re not that helpful for actual rock climbing. What’s your opinion on that? Will Anglin: For the most part, I almost always agree with that. For most beginner, intermediate, and even into the kind of advanced zone I think rows are much more important because a lot of the pulling that you’re doing in climbing is pulling your body into the wall so that you can direct weight onto your feet. If you’re doing a pull-up, you’re just doing it in this vertical plane. If you’re climbing on a vertical wall and you’re doing it right, your weight’s on your feet and you’re not necessarily pulling, doing a pull-up motion. What I’ve found, though, is that as I’ve gotten into the harder and harder boulder problems, you do have to pull really hard in those planes because the feet – what I’ve noticed in hard boulders is all the same things are there that are in moderate to regular hard boulders, but they’re all in the wrong place. [laughs] You do end up having to pull straight down because the foot is way over to the left or not even close to underneath you. I’ve found that the pull-ups work really well in developing the kind of strength that I feel like I need at the moment. I feel like if I started climbing more roof boulders I would not do pull-ups. I would do really heavy rows instead because that’s the plane I’m going to be working in when I’m actually climbing. Neely Quinn: Okay, cool. So, you’re doing about three days a week of this in the gym, right? Will Anglin: Well, right now I’m doing two days like I just described where I’m doing hangboarding and limit boulders. Then, one other day I pretty much just warm-up and then I’ll be on the campus board for 1-2 hours, which sounds like a lot and it’s a long time but I’m actually only – I think about campus boarding in numbers of contacts. If you look at the literature on plyometrics, that’s how they talk about it as well. The number of impacts that you’re doing in a given training session and there are ranges for beginner, intermediate, and advanced elite for plyometrics and how much you should be doing. You really can look and apply that effectively, I think, to campus boarding. I’m only/my hand’s only impacting a rung 108 times in that hour to two hours and I’m doing it with a lot of weight. Personally, I think a lot of people that are like, ‘Why are you wearing a weight vest on the campus board? That’s so dangerous.’ I would argue at this level, at the level I’m at – and I don’t think you have to climb V13 to have a weight vest and campus board – and even the V10 climber can really benefit from that, depending on the person. I would argue that it’s safer than campusing without the weight vest because at least when you get to that level and you’re able to do these really long pulls and really far bumps, you’re putting your shoulders and your elbows in these really limit ranges of motion where they don’t like to be and they certainly don’t like to be often and dynamically. You’re forcing them to do that over and over and over again and that’s really where I think you start to see the wrist, elbow, shoulder injuries in campusing because you’re pushing yourself too far into those dangerous ranges of motion too many times. Really, the only reason you’re doing that – oh, I could talk forever on the campus board. Neely Quinn: No, go ahead. Will Anglin: I’m going to delve into it. So, the campus board is good for two things: finger power and coordination. It’s not that great at just generally developing upper body power. You’re much better served doing heavy pull-ups, heavy rows, muscle-ups, that kind of stuff because on the campus board your fingers are always the weak link. Everyone can pull harder than they can hold on to an inch and a quarter edge. That’s just – I mean, the muscles are way bigger. I don’t think anyone can do that so what you’re really training, if you’re on the big rungs and you’re doing these really big pulls, is you’re training yourself to initiate really quickly and to pull with one arm. Really, the lower arm gets the bulk, I think, of the coordination training because it has to go from pulling to pushing to reaching and then grabbing, all in a very short period of time. It has to do it accurately and you have to hit that rung and apply force powerfully before you slip off of it. Even talking upper body power and coordination, if you really want to be as effective as possible with it you’d be on a pegboard but not that many people have pegboards, at least in the US, so then the campus board does a great job as well and more people have access to that. Where the campus board really stands out is this idea of finger power, so training yourself to apply maximum load in a very short period of time. The way that/the exercises that emphasize that the most are the really far bumps and the really deep, far pulls because a lot of load is landing on that grabbing hand when you hit that target rung. At some point, you get strong enough to where you need to bump so far that you’re putting your shoulder in a compromised position in order to increase the intensity of the stimulus on that grabbing hand. Neely Quinn: Oh, so that’s why wearing the weight vest, you said, was safer? Will Anglin: Yeah, so now you can put on a weight vest and make it hard. I wear the weight vest and I use the small rungs for finger power and I really only do 1-3-5 and match that with 50 pounds in a weight vest on the small rungs. That’s so hard for me I have to sit down for 2-5 minutes before I can do it again and that is how you train max finger power. The reason that I’ll fail at doing that is because I won’t have enough finger power. It’s not because I can’t pull far enough, it’s not because I’m pushing my shoulder into a painful range of motion, it’s purely isolating the idea that I need to grab hard and fast. Neely Quinn: Okay. I have a couple questions. Neely Quinn: Number one, you said that you’re doing 108 impacts in your session. Neely Quinn: And I’m assuming that is the elite level of impacts. Will Anglin: Yeah, that’s somewhere around advanced or elite. I actually don’t campus board a ton so I would not even necessarily put myself in that elite category, just because – yeah, I’ve been climbing for a long time but I haven’t been campus boarding seriously for very long, like maybe a year or two. I think it’s a skill. It’s a really difficult skill, especially for me. I don’t see myself as a very powerful climber so it’s really, like, I’m learning a lot every time I’m on the campus board about how to articulate different parts of my body in order to get the maximum amount of momentum and move properly on the campus board. I definitely wouldn’t say I’m elite yet. Neely Quinn: Okay, so what would an intermediate or beginner campus boarder do? Like how many impacts? Will Anglin: Oh, like 30-50. Not many. Neely Quinn: For a beginner? Will Anglin: Yeah. Not many and that, I would say, when we say ‘beginner’ I would say ‘someone who’s a beginner on the campus board,’ not a beginner climber because I would not put beginner climbers on the campus board. Neely Quinn: You’d wait till they were V5 climbers or something? V4? Will Anglin: Yeah, at least because really, if – there are so many other training tools and apparatuses and exercises that are going to be so much more beneficial to those people. I feel like it’s a disservice for them to even look at a campus board because that’s not what they need to work on. I think when you get people like that on the campus board you start to reinforce this idea of, ‘Oh, I can’t do that move. It’s because I’m not strong enough. I should campus more.’ That’s the wrong train of thought. At that point in your climbing if you can’t do the move, odds are you’re doing it wrong or there’s another part of the puzzle that’s missing and it’s not your campus strength. Encouraging people to really engage in that thought process, like, ‘Really, why can’t I do the move?’ is way more important than having them on something like a campus board or a finger board. Neely Quinn: Okay. So say you have like a V – I don’t really know what you would consider a beginner campuser, an intermediate campuser, but for an intermediate campuser how many impacts should they be doing? Will Anglin: Probably somewhere around 80. The way that you would count them with the campus board, at least for me, is always start matched and you always end matched. When you pull onto the board there is no impact but then I pull to – say I’m doing, you know, 1-2-3. When I pull and I hit rung two, that’s an impact. When I pull and I hit rung three, that’s an impact, and then I match and that’s an impact. It’s 1-2-3 impacts and then you’ll do it again with your other leading hand, so that’s six and then you’ll rest. You tally those up and that’s how you come to that number. Neely Quinn: Okay. So at what point did you start putting weight on you on the campus board and at what point would you suggest to your clients that they start doing that? Will Anglin: I think anyone who’s bouldering V10 pretty consistently but can’t seem to break out of that, I would add weight on the campus board for them. What I mean by ‘climbing V10 consistently’ is being really well-rounded in that grade. They can climb V10 compression, they can climb V10 crimps, they can climb V10 in a roof but they’re having a lot of trouble pushing into 11 or 12 or something like that. Then, I think that person can definitely start exploring weight on the campus board. Neely Quinn: I think you should make a program all about campusing. I think the biggest questions out there are who should be campusing, how often, in conjunction with what other training and when do you know when to progress with it? We could talk about this forever but actually it’s been an hour. I’d love to have you back on. Will Anglin: Well, let me wrap some ideas up on the campus board and you can edit them out if you want, just to get it all down. So, tying this back into percentages and effort level, when you’re adding weight there’s, again, there are recommendations for adding weight to power training in the general literature for other plyometric exercises. A lot of what they recommend is starting off around 10-15% of your body weight, so if I’m 150 pounds and I add 15 pounds, it’s really not that much weight, especially if you’re a fairly experienced campus boarder and you understand the movement well and understand your limitations on that apparatus, then that really isn’t a whole lot. When you take that weight vest off and you feel 20 pounds lighter and not 15 pounds lighter, it’s really effective. Will Anglin: It’s really not that difficult in that sense, like, there are so many people who are way stronger than the grades that they climb and it’s just because they are not rock climbing very well. I think I was lucky that I started climbing as just such a weak, weak, little 13-year old kid. I couldn’t pull at all so I had to learn all of these other ways to rock climb and then once it was like – I mean, I climbed V13 before I could do a one-arm pull-up. Now I’m like: yeah, I totally notice being able to do a one-arm pull-up or a weighted one-arm or multiple one-arms affecting my climbing because I can squeeze every little bit of improvement out of every little bit of strength that I gain at this point because I’ve been climbing for 15 years and focusing on my movement for 15 years. The second day I went into the climbing gym I was on a climbing team, learning about footwork, you know? Learning how to move. Learning how to assess my own climbing, so I’d been doing that for a really long time and that allows me to get more out of my strength. If that becomes the focus of every beginner and intermediate climber’s program, learning to assess your own climbing and really putting in the time and the repetition to learn the fundamentals and learn all the different movements and different hand positions and different ways to use your feet, that is going to make them go so much further in the long run rather than having a beginner climber be like, ‘Yeah, you can get on the campus board. I have exercises that you can do that aren’t going to hurt you but I’m going to be doing you a disservice by putting you in the mindset that increases in strength lead to increases in performance,’ because for the beginner and intermediate climber, to a certain point, that’s not true. Neely Quinn: They just need to know how to climb. Will Anglin: They just need to know how to move and that’s more important. Neely Quinn: So if people want to work with you, they have to see you in person? Or are you doing stuff online now? 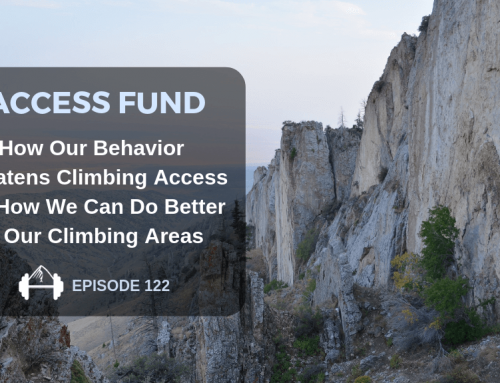 Will Anglin: Yeah, so through Tension Climbing, which we should be launching our website very soon, maybe by the time this podcast is on the internet it might be up, but if it’s not you can always contact me through my Squarespace site or email me at will@tensionclimbing.com. I do online training plans and I also coach people in person at Earth Treks. That is another distinction, the distinction between coaching and training. Like, I can train people really effectively over the internet through the website that we’re using but unless I’m getting really good video of people, it’s very hard to coach over the internet. 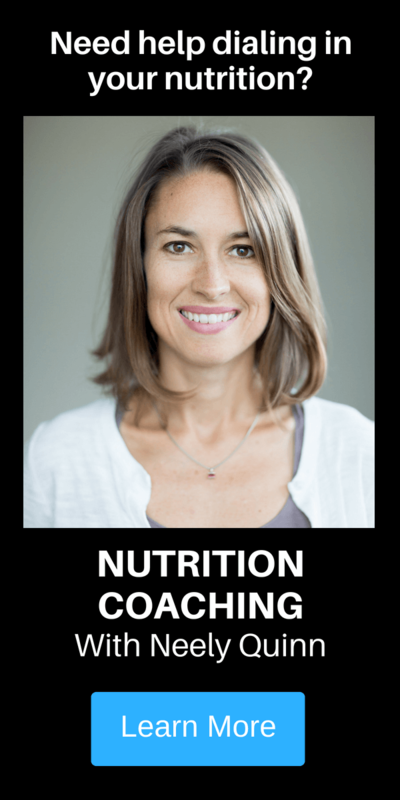 Where, in person, you can coach someone really well lin person and train them really well in person, but coaching is something that’s very hard to accomplish over the internet. Neely Quinn: Right. I have one last question about all this. I have a friend who is a coach, a climbing coach, and she’s talking about getting her CPT as well, just to sort of be more official about it. Do you think that having your CPT and learning what they teach you in that actually makes you a better climbing trainer? Will Anglin: I think that knowing what you need to know to be a CPT will help you be a better climbing trainer, whether or not you have the letters or not, because I could have passed the CPT test sophomore year of college but I didn’t take it. It wasn’t until I got to where I’m at now that I’m actually trying to turn this into more of a profession that I was like, ‘Okay. I need to legitimize this.’ So, yes, I think it would help any coach to get their CPT, any trainer to get their CPT, because it’s just general knowledge about bodies and how they work that’s super important. Once you know those basics and understand that terminology, it becomes much easier to go into the journals and learn the kind of stuff that’s at the cutting edge that hasn’t made it into, say, the textbook or the newest climbing training book because this study just came out last week. You can be more on the front lines of that and draw conclusions based on that and help push it forward rather than always playing catch-up. Neely Quinn: Yeah. Well, we have a long way to go, I think, in training properly for people who want to be climbing trainers. Will Anglin: A really long way. Neely Quinn: But I really appreciate your time. It looks like you put in a lot of time and effort into learning this stuff and I appreciate your knowledge. Neely Quinn: Hopefully I’ll have you on soon but until then, take care. 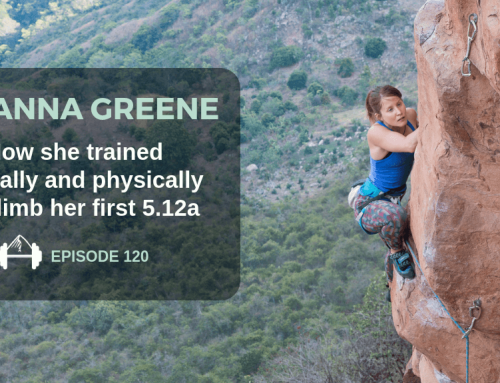 Neely Quinn: Alright, that was episode 33 of the TrainingBeta podcast. Thanks for listening to the whole thing. I’m your host, Neely Quinn, and that was Will Anglin. You can find more on him at www.willanglin.squarespace.com and then his new company, Tension, is coming out with Ben Spannuth very soon. I’m sure you’ll see it all over TrainingBeta when it does. So, yeah – I hope you enjoyed that. I really liked my conversation with him. I could talk to him for a really long time and I actually might work with him myself, as two months after stopping climbing I’m in pretty terrible shape so I don’t know. It might be fun to try out a new trainer in the area. Okay, so coming up I have, let’s see, an interview with Justen Sjong this week, so I’ll try to have that up next week. By many requests I’m asking Dave MacLeod, again, to have an interview with me. We tried doing it a while back and it just didn’t work out so hopefully it’ll work out this time. Then I have a couple, hopefully, ladies coming on board for interviews and I’ll let you know about those soon. In the meantime, one thing that I wanted to mention about TrainingBeta stuff is I, in the six weeks that I was gone, did some soul searching and realized that I really want to see clients again. I miss human-to-human interaction and while it will only be over Skype or the phone, I’m going to see clients on a limited basis for nutrition. If you guys are interested I have a couple spots still left open for this month and I can help you with weight loss or optimal nutrition, recovery, what you should be eating before, during, and after workouts, stuff like that. I’ve worked with a lot of athletes and had a lot of good success and I would love to talk with you about that. If you are interested in that just email me at neely@trainingbeta.com and we’ll go from there. I think that’s it. I mean, I always have to mention that we have awesome training programs, too, on the site. If you go to www.trainingbeta.com you’ll see banners everywhere for our training programs so I think that’s it. I’ll talk to you next week. Have a great week. Thanks for listening.